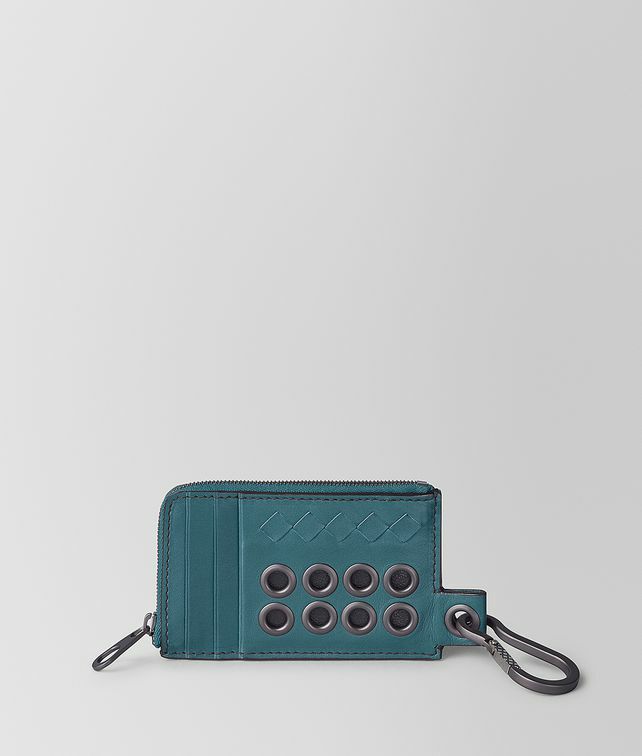 This zip-around coin purse is hand-crafted from calf leather in the new VN Eyelets workmanship, which features a thin strip of intrecciato and two rows of brunito-finish eyelets. The practical style is fitted with three card slots on the front, an interior coin pouch and an additional slot at the back. Finished with an intrecciato-engraved carabiner clip to attach keys. Width: 13.5 cm | 5.3"